Opportunity International, a client of mine over at Storyspark, is celebrating 40 years of serving small-scale entrepreneurs in developing countries. I worked with them to develop the story behind the anniversary, as well as produce this short piece explaining the campaign. Props to Gord for the design and Ryan for the excellent animation. Learn more about the campaign at ican.opportunitycan.ca. If you’re in the non-profit sector and are interested in story, you might want to head over to recharity.ca and check out what we’re doing there. If you’re in the non-profit sector and are interested in story, you might want to head over to recharity.ca and check out some of the content there. A few of us who spend our days working with charities have teamed together to write about the best of what works in the charitable sector. Our team includes a philanthropist, a web designer, a fundraiser, and myself (a storyteller) so it makes for some interesting dialog. Here’s one of my latest posts, part of a series on finding your story as an organization. You can check out all of my posts here. 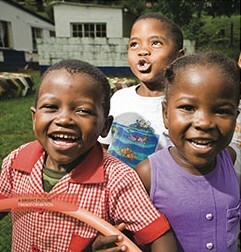 The Wellspring Foundation for Education is a hard-working non-profit in Rwanda. This promotional film is the collaborative effort of several creatives that began with a filming trip to Rwanda in 2008. In 2008, Lyn & Jesse Rosten and I headed to Rwanda to do the last round of filming for Rwanda: Hope Rises. Our hosts were our friends at the Wellspring Foundation for Education, a non-profit working in Rwanda toward quality education. They do the hard, everyday work of training teachers, educating kids and working with headmasters & the ministry of education to deliver the best possible education to Rwandan kids. My friend and fellow creative Craig Harris just completed editing footage from that trip into a promotional film for Wellspring. The piece is a great example of collaboration at its best. A hard-working non-profit receives the combined efforts of several creative people, melded into a cohesive finished product. Have a look and let me know what you think in the comments!